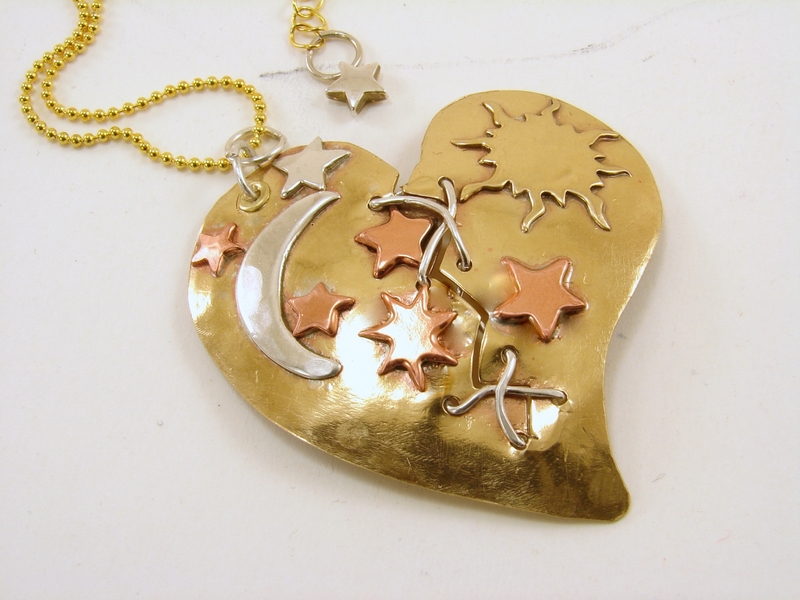 These Mixed Metals Broken Mended Heart with Celestial Theme Necklaces are made from red brass which is hand cut with a jewelry saw. 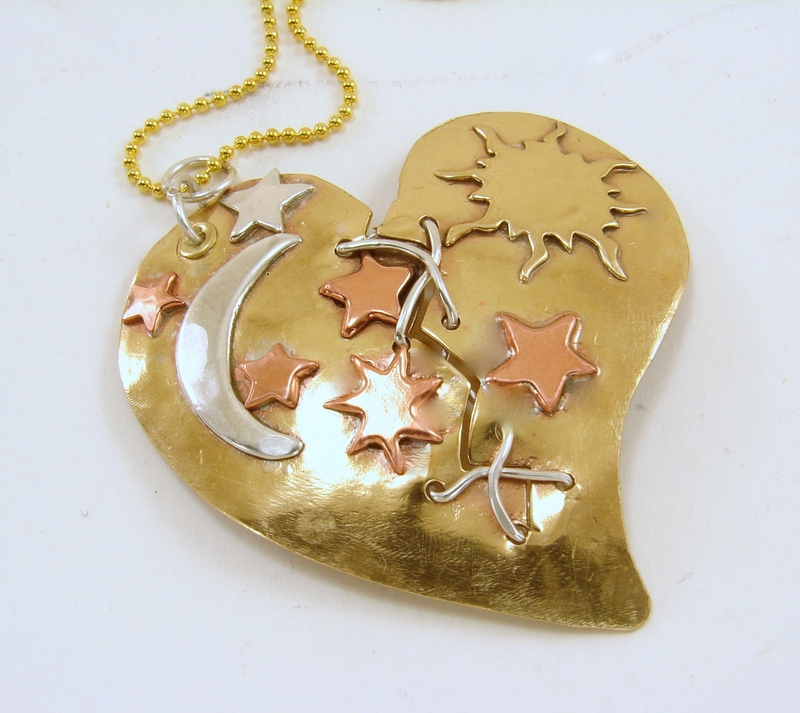 The different celestial componenets, sun, moon and stars are then cut out of copper and sterling silver. Then they are soldered onto the heart. 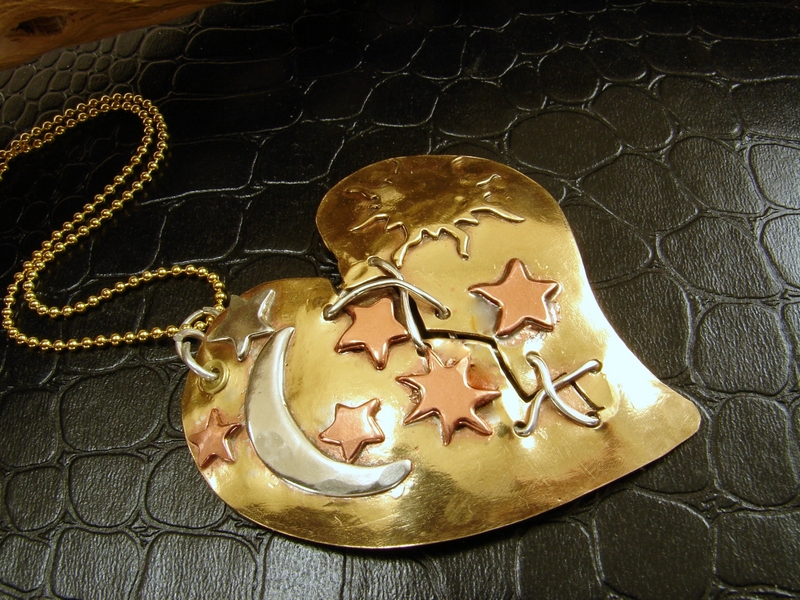 Other punches and decorative stamps are used to embellish the heart and sterling silver wire sews back up the broken middle. 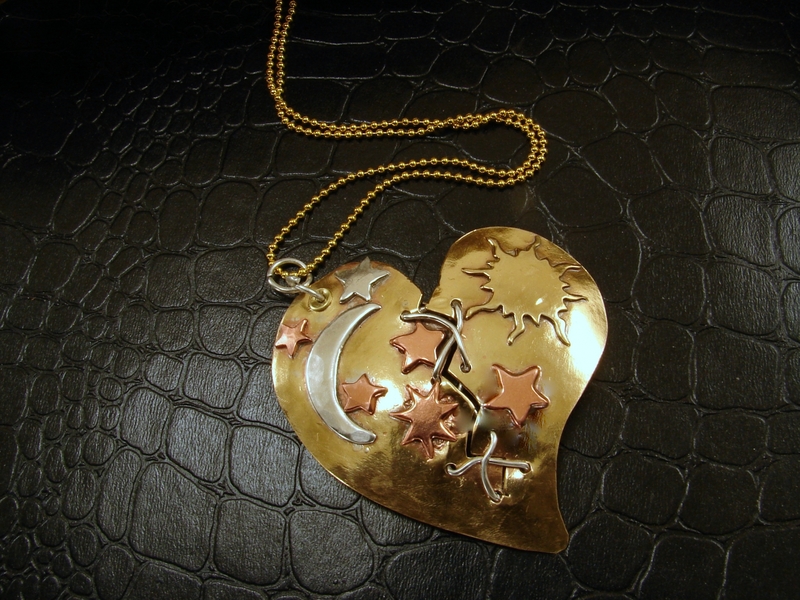 Heart can be created with a bail in the center or it can be fixed to hang from the side. This is heart is able to be customized to whatever theme you want. The size can also be different than the one pictured which is about 2 inches. 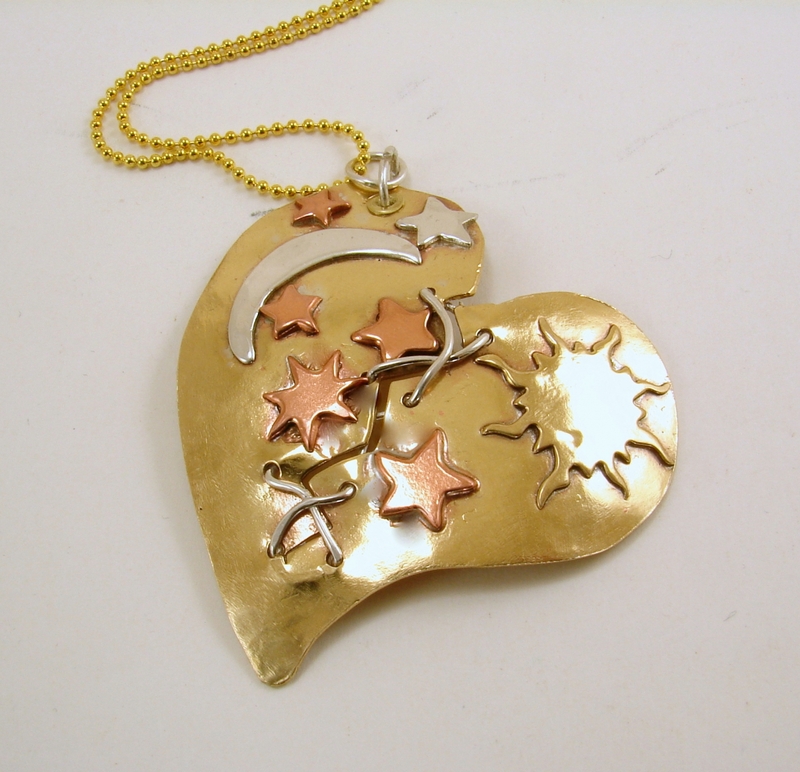 Just leave me a note about what you would like and together we can create an adorable memorable heart pendant. Jewelry comes packaged in a jewelry pouch, perfect for gift giving and/or storage.